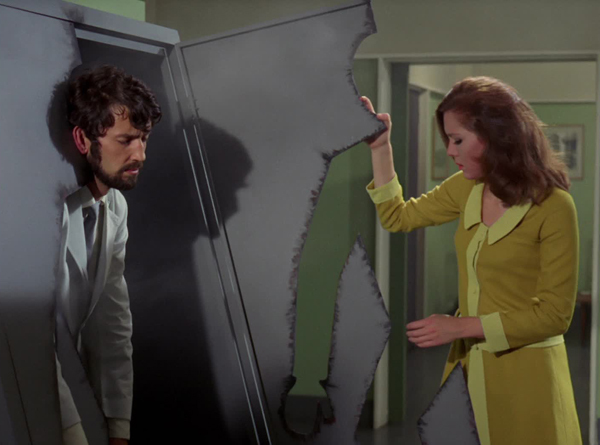 My pectorals may leave much to be desired, Mrs Peel, but I’m the most powerful man you’ve ever run into. 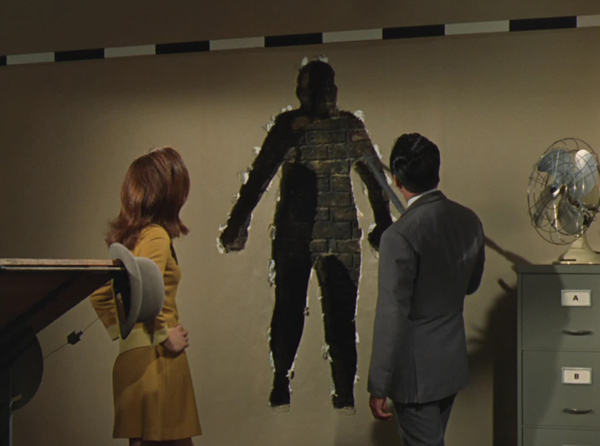 If there was a lesson to be learned from Season Five, it was not to include "man" in your title, unless it involves his treasure. 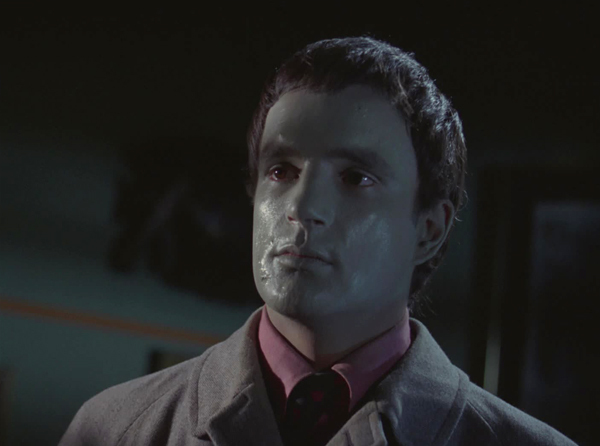 The See-Through Man may be the season's stinker, but The Positive-Negative Man isn't far behind, a bog-standard "guy with a magical science device uses it to kill" plot. 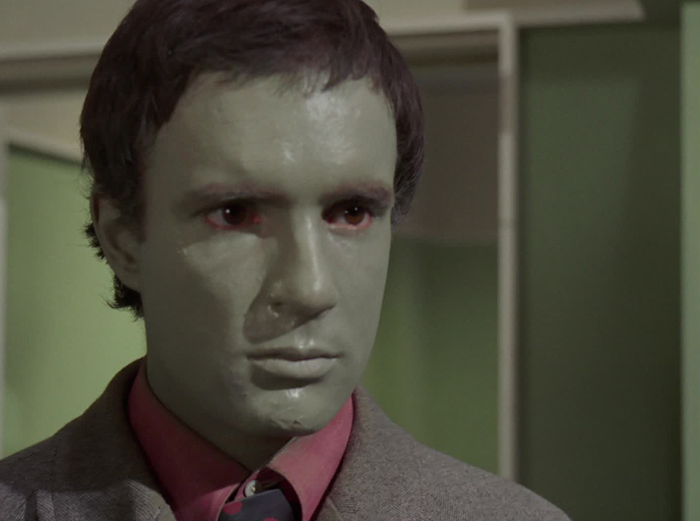 A bit like The Cybernauts, but with Michael Latimer painted green and a conspicuous absence of a cool hat. 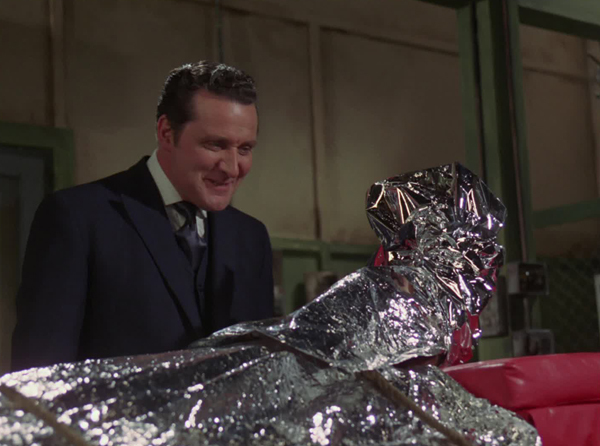 Steed: Let's start with the man who got plastered, then. 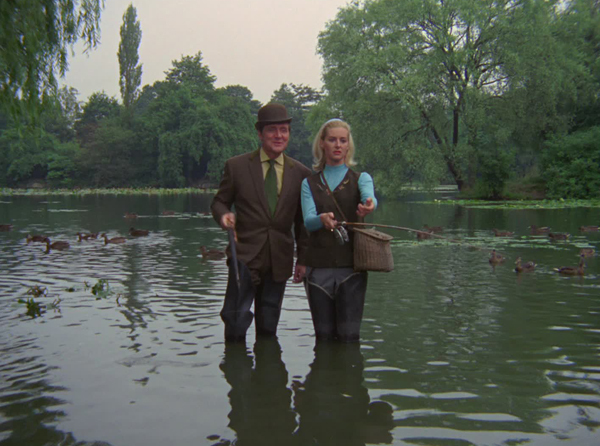 Cynthia: Who got pl… We assistants do not approve of levity, Mr Steed. 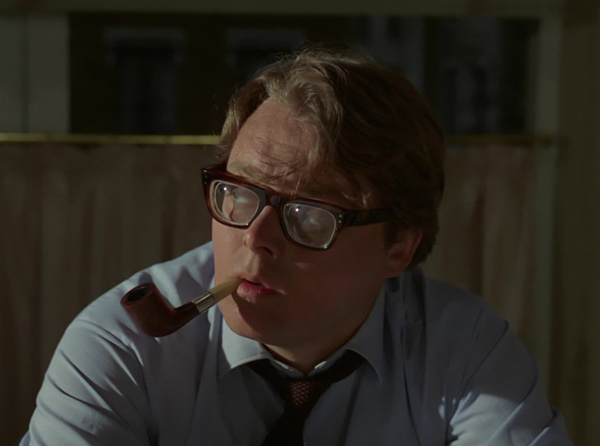 There's one feature of Tony Williamson's script that tips it briefly into the positive and that's Cynthia Wentworth-Howe (Caroline Blakiston 1.12: Dance with Death, 4.8: The Gravediggers), the top "Hush" secretary to the minister (she isn't at the very top; that's held by the special category of "Button Lip"). 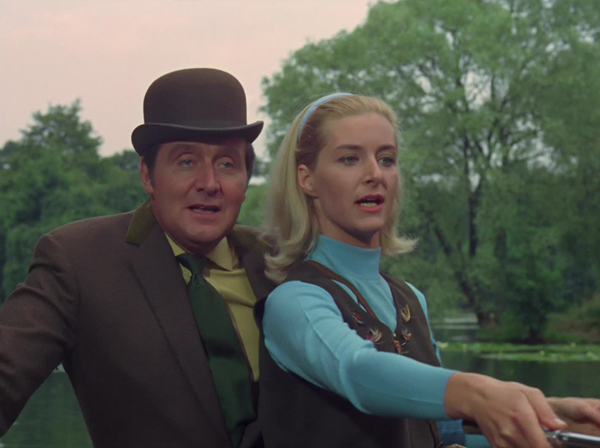 Naturally, Steed gets on fabulously with the posh girl, after a thawing period and a spot of fishing ("My day orf"), during which he regales her with an account of landing a ten-pound salmon on Bond Street the previous week (he threw it back) and she is impressed by his Red Card status ("And that’s about as rare as a salmon in Bond Street"). 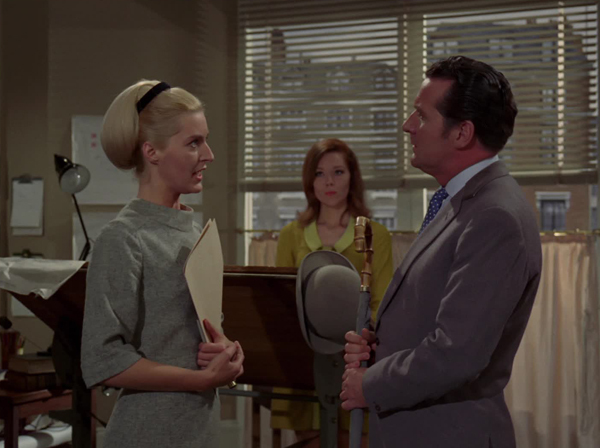 Cynthia: All the confidential war records are kept here. 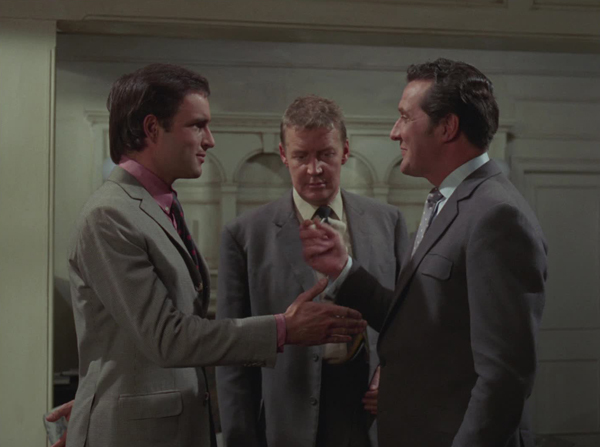 Steed: Have there been many confidential wars? 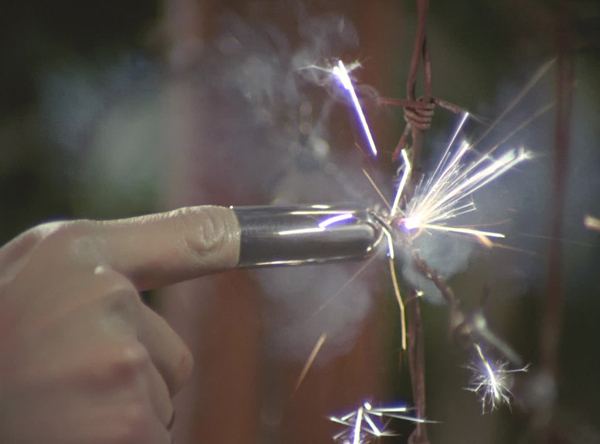 Naturally, any attempts to divine the status of Project 90, a Tesla-esque method of transmitting electricity by radio waves, meets with a dead end, either due to the expiry of scientists on the project (courtesy of the title character) – including Maurice Jubert (Sandor Eles, bearing a passing resemblance to Kenny Everett) – or destruction of evidence (ditto). 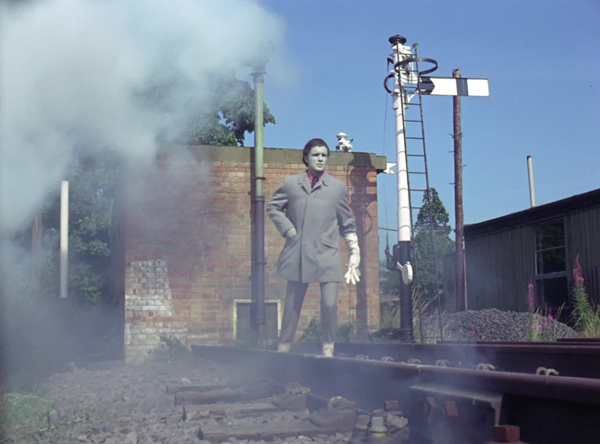 There are red herrings along the way, such as Mankin (Peter Blythe) wearing similar boots, and knowing a lot about "broadcast power" as he calls it, before being fried on a fence. 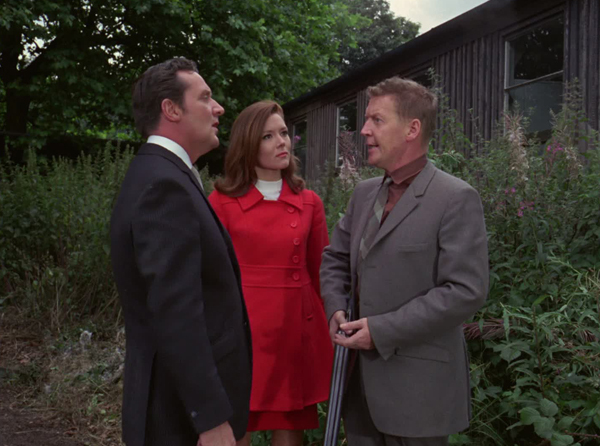 The mastermind is Dr Creswell (Ray McAnally in a disappointingly undernourished stock-villain part) aided and abetted by Hayworth (Michael Latimer, 4.22: A Touch of Brimstone, New Avengers' Angels of Death), whose stripped torso at least offers the captured Mrs Peel n opportunity for mockery. 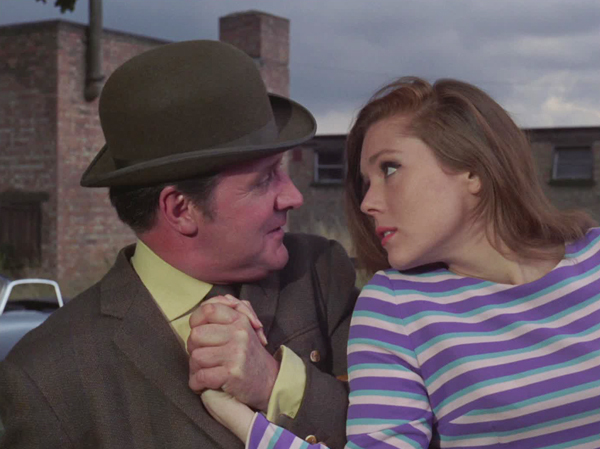 Mrs Peel: Oh, spare my blushes. 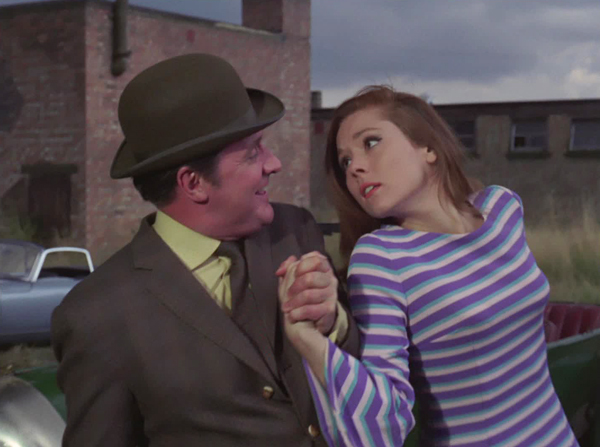 Creswell: Mrs Peel, you are looking at a superman. 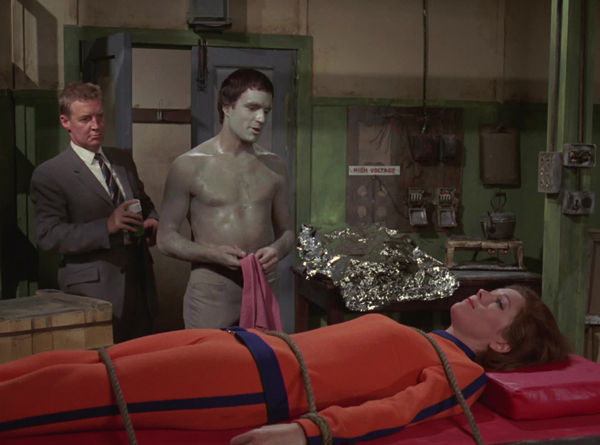 Hayworth: My pectorals may leave much to be desired, Mrs Peel, but I'm the most powerful man you’ve ever run into. 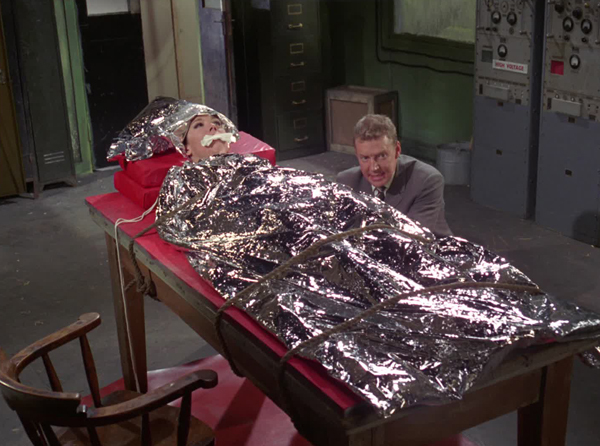 Despite being captured again, and wrapped in tin foil to boot, Emma gets some good lines ("I've been slaving away over a hot Bunsen burner"; "What time's breakfast?" 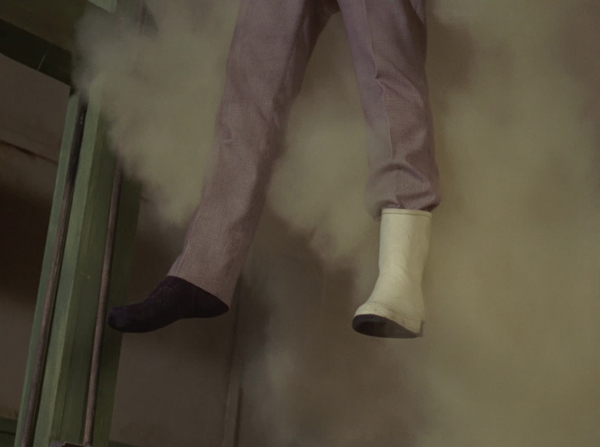 she asks when she wakes up trussed; "What happens if there’s a power cut?" 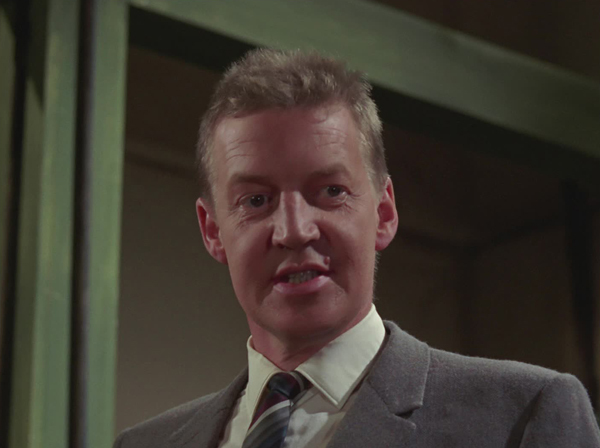 of Creswell's plan to bring the government to its knees and take over). 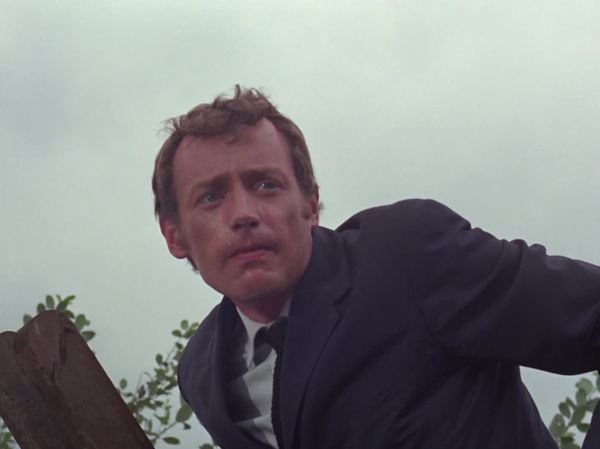 Indeed, on paper, it’s a wittier, more effusive affair than the rather ho-hum results suggest. 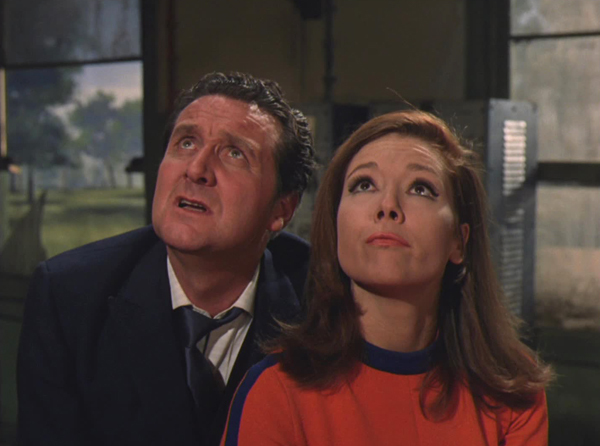 Steed shows up to save the day in rubber soles, foiling best-laid plans in a rather obvious way, and there are some amusingly cartoonish deaths (body outlines in walls, and Hayworth sent through the ceiling: "You ruined his make-up"), but it's disappointingly ordinary in plot. 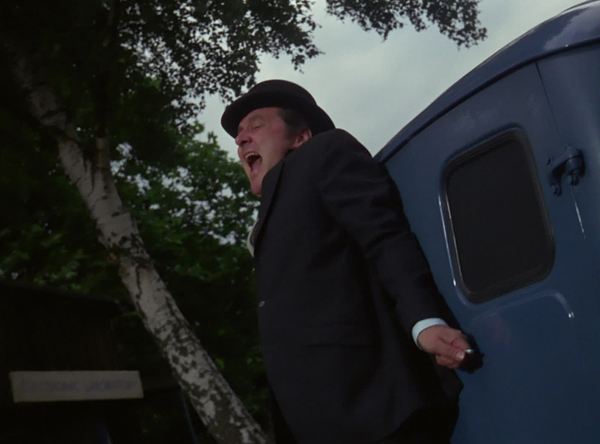 The coda offers a cute tableau of Steed and Mrs Peel magnetised to the car ("Don't fight it, Mrs Peel. 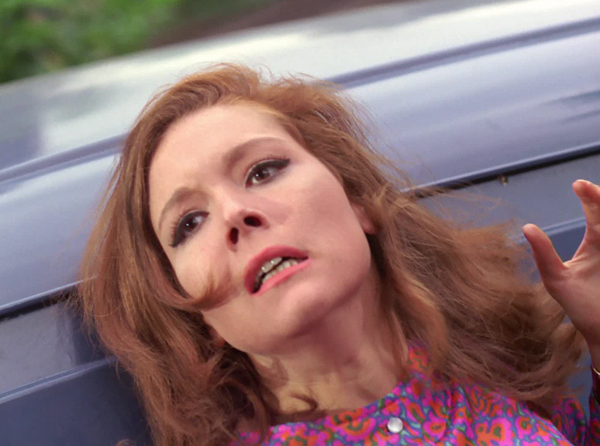 We're inseparable"; a sobering reminder that there are only two Emma episodes left).